This is the name of the children's musical that Fiona was in this past weekend. 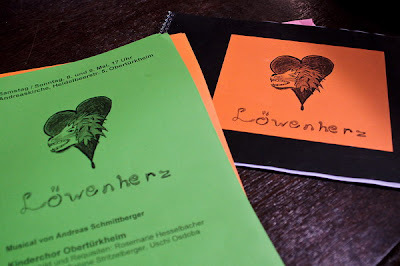 Last year our neighbor Heike invited us to see her two six-year-old twins perform in a musical in Obertürkheim, but we couldn't make it then. Fiona started singing in the choir with the twins at the beginning of the school year and this musical is what has resulted. It was quite a feat for the 23 children and six adults involved. 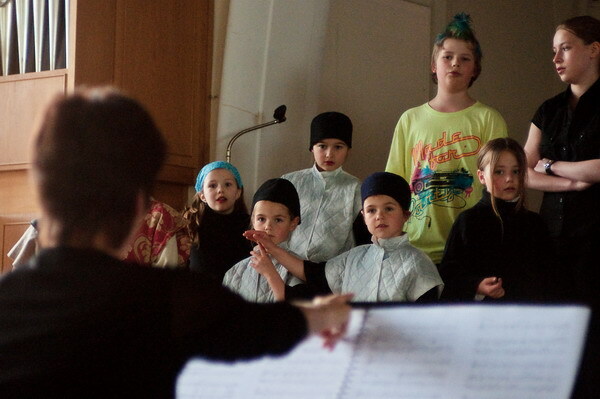 Frau Kurz, who is the official church musician where the musical was rehearsed and performed seemed to have a very nice way of working with the kids. 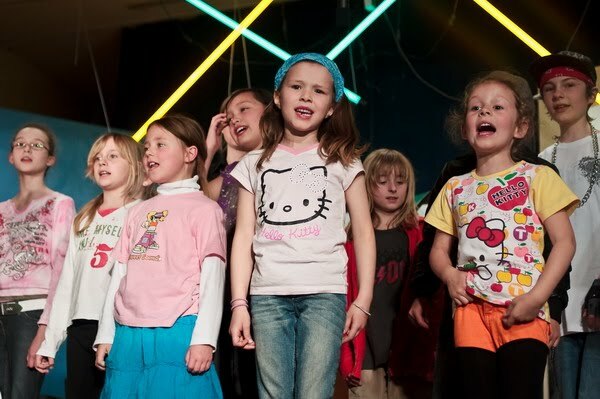 Here she is leading the audience in a post-performance rendition of the German version of "Happy Birthday" for one of the girls who was celebrating that day. Here she is going over a couple of the pieces before the first performance. 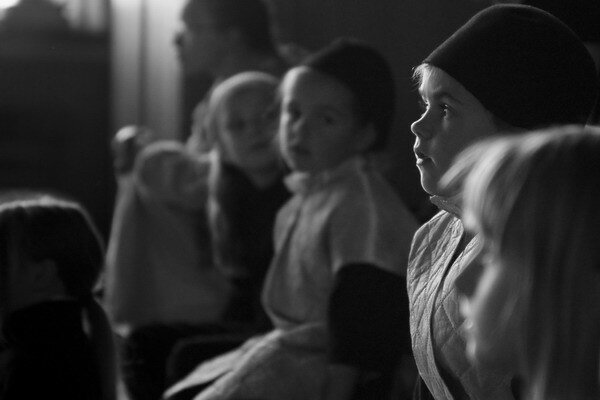 The cast included 5-13 year-olds. Again, quite a task for any team of leaders! They even took the two dozen children to an old renovated farm for a rehearsal weekend! 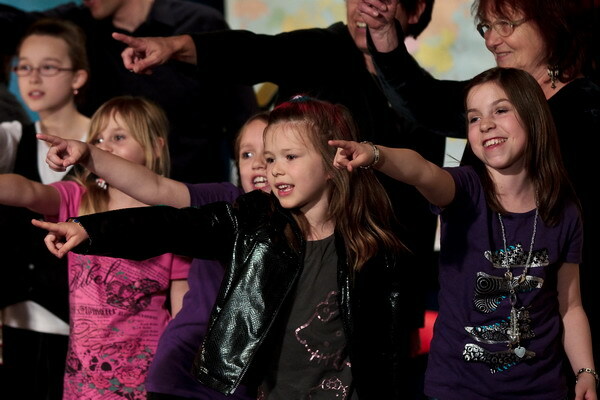 Minja and Katharina had worked on this stage before, and they convinced Fiona that she would have a good time. They were right! 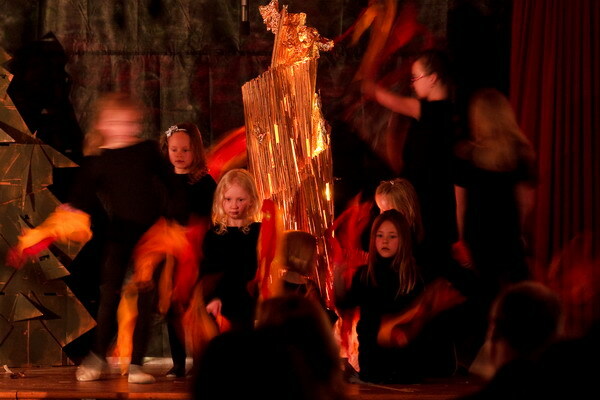 The first evening Fiona sang in the chorus and was a star and fire. Here she and the other girls are getting ready to roast a renegade from the 14th century. The music was written by a German high school teacher. It is quite good. The CD was on high rotation in our house over the past several months. Even Fynn can sing along with most of the songs. 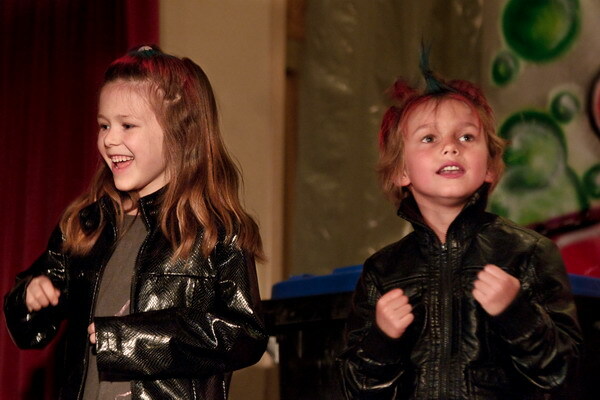 During the second performance, Fiona had some lines and got to dress as a punker - spray-dyed hair, leather jacket and all - and say sassy things to the "teacher". She knew every cue! 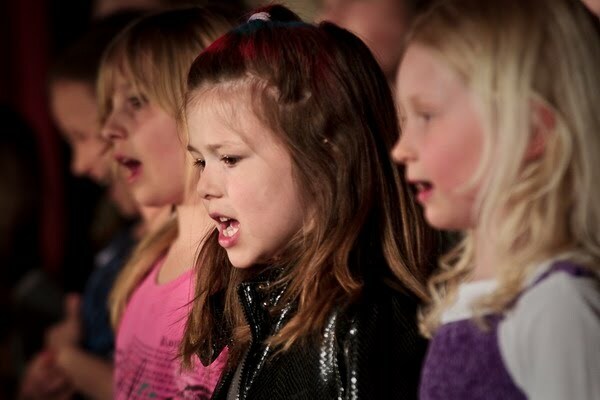 In the second performance she sang in the chorus as well during the ensemble pieces. She especially liked singing this song, "Wir sind die Könige" (We are the kings) about how she and her asocial punker friends are the gang in charge of that particular neighborhood. She likes performing the songs for our visitors! The finale served as a good encore, during which the cast was joined by the adult directors. It was a very good closing number!